Hell for chickens, but heaven for human eaters? During our bike tours, we often pass this place located right in the center of the city’s red light district. Have no idea what the chicken’s like, but name is a sort of endorsement for vegetarianism. I once asked an employee what ‘Chicken Hell‘ referred to, and he pointed toward the oven, where the poor chickens were roasting. 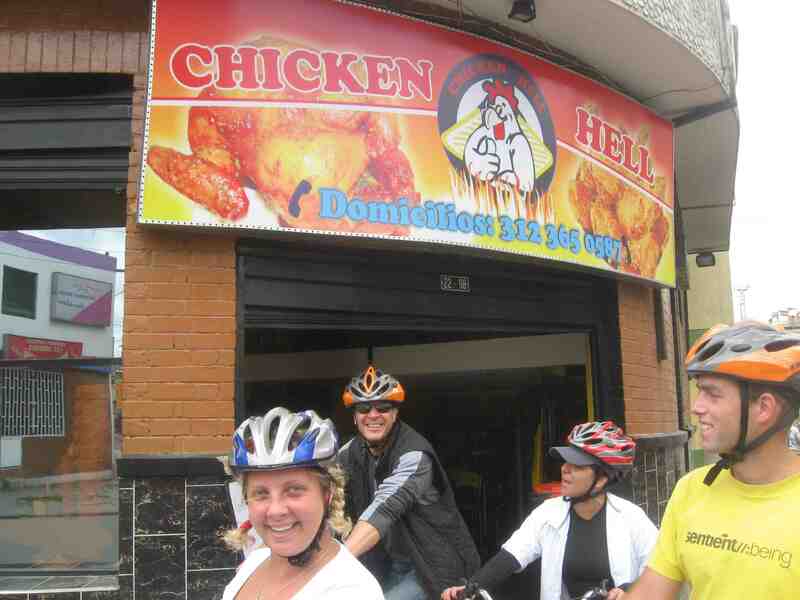 This entry was posted in Uncategorized and tagged Bogota, Bogota Bike Tours, Chicken hell. Bookmark the permalink.